Twenty schools in Eagle County (Colorado) are participating in a program to help teach kids the dangers of distracted driving (like texting while driving). 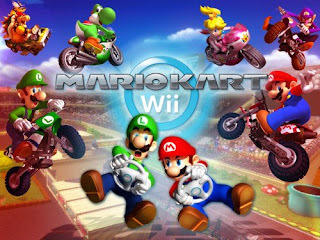 One of the simulations is to have the kids drive in Mario Kart for the Wii while trying to text. Did the simulation work though? One of the kids said this, "I ran into a lot of things and it was very stressful" - "I don't think I will text." Ah, another life saved. Hopefully the kids will remember simulations like this one forever, since it involves things (such as games like Mario Kart & the Wii) that are more relevant to their generation, instead of just the old textbook style learning.